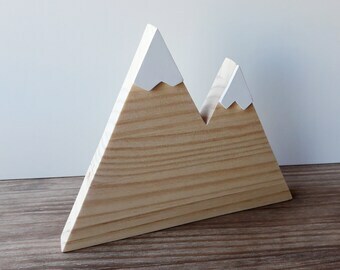 Handmade wooden mountains with MDF snow. These freestanding mountains will look great in your office, on a shelf or decorating any corner of your home. 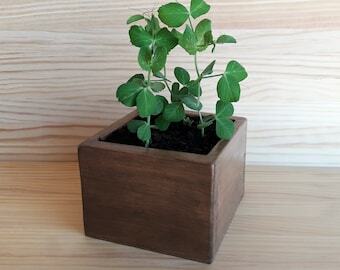 They will also add a rustic, minimalist and Scandinavian touch to your home decor. 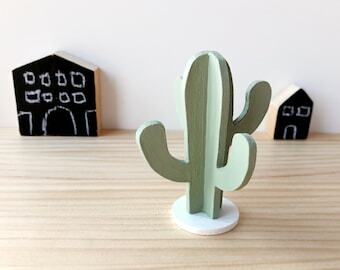 They'll look great in the kids' room! 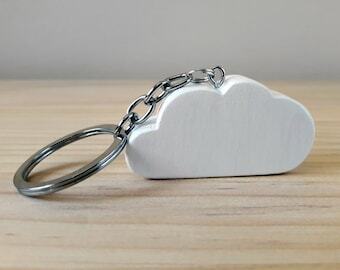 The mountains are made of wood that has been cut, sanded, painted with grey chalkpaint and varnished entirely by hand. 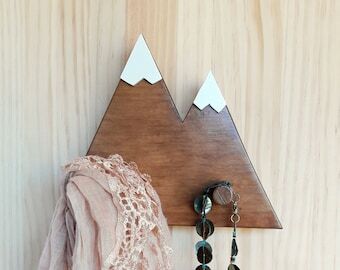 The snowy peaks are handmade with MDF and painted with white chalk paint. 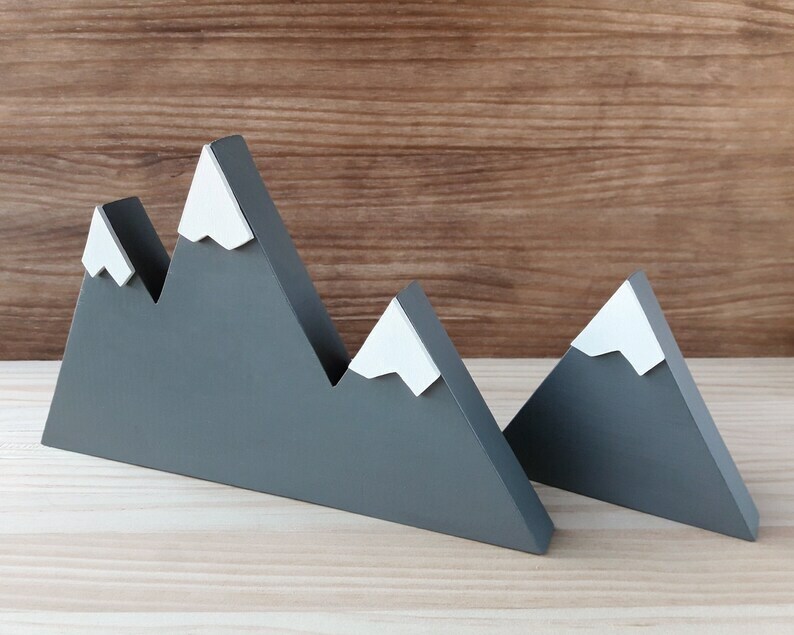 You can choose between a mountainscape of three different sized peaks or a single mountain. To clean these mountains you just have to slightly moisten a soft cloth and wipe it lightly. 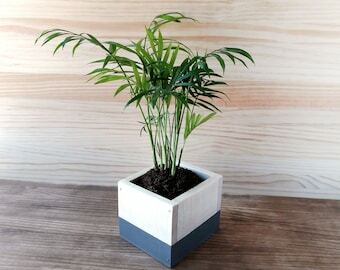 Don't rub too much as you will be leaving them unprotected.